Rishi Saluja began his musical journey at the age of eight, performing in a shopping centre talent show. It is safe to say that since then his musical ambitions have considerably changed. It wasn’t until the age of thirteen that Rishi started playing guitar and write songs. During his school years he was constantly musically involved, performing in choirs, as the lead singer of a Jazz band and in an indie rock collective – SAONA. A year out following his A-Levels has given him time to gig, write and work with Artist Development agency – ‘Bmuze’. 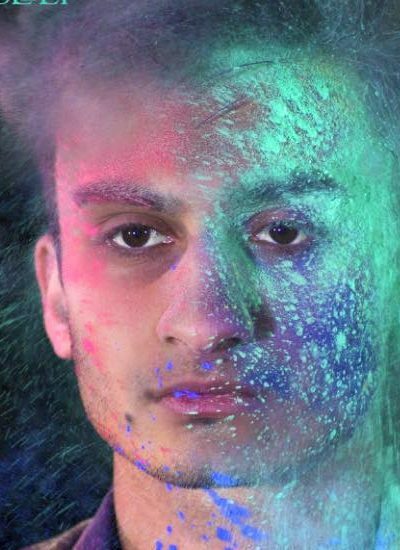 Rishi began recording and producing himself from the age of 15 and has since then put the sporadic track online. ‘During this time I’ve refined my sound more and continued to experiment with different sounds and recording techniques’.